“Bill Clinton presided over the largest increase in federal and state prison inmates of any president in American history. … He supported the 100-to-1 sentencing disparity for crack versus powder cocaine, which produced staggering racial injustice in sentencing and boosted funding for drug-law enforcement. 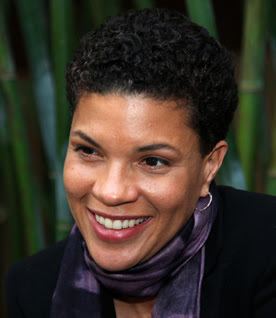 1) Read Michelle Alexander’s full article. 2) Vote for Senator Bernie Sanders in the Democratic primary. 3) Sign our petition asking Superdelegates to vote the way the voters of their state vote. 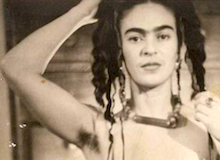 Late Friday Nights 2-4am on 90.7fm KPFK Los Angeles and kpfk.org with DJ’s SeanO, Val the Vandle & Francesca Harding. Soundwaves Radio strives to bring you the best in all forms of music both new and old. Live guest DJ set’s and producer performances as well as extensive interviews with artists from all over the globe. 2-4am early Saturday morning on 90.7FM KPFK Los Angeles and Streaming worldwide at www.kpfk.org. 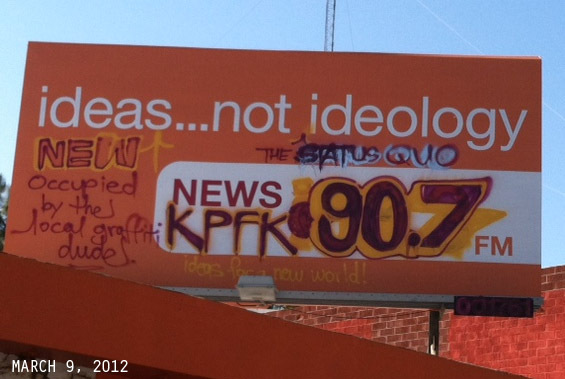 Much L.A. radio hay was made over the placing of a KPCC 89.3 FM billboard advertising its “Ideas not ideology” slogan practically on top my radio station’s studios at KPFK 90.7 FM, where I host the Pocho Hour of Power every Friday at 4 PM. 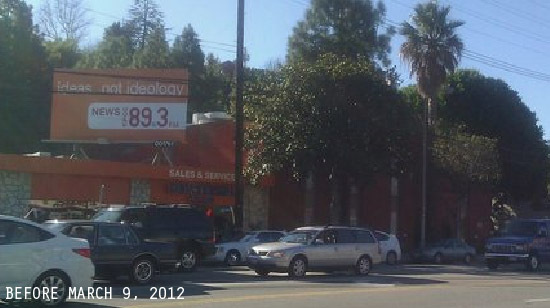 As I walked in today, I was alerted that someone had replaced the KPCC billboard with our own KPFK billboard. Didn’t know we had such a substantial advertising budget.